Mold pretty dimensional blossoms or design your own long-lasting flower arrangements, bouquets, and embellishments with our Floral Crafting Kit. Use with Martha Stewart Crafter's clay (sold seperately). This air-drying molding compound in non-toxic and dries without baking in 24 hours. 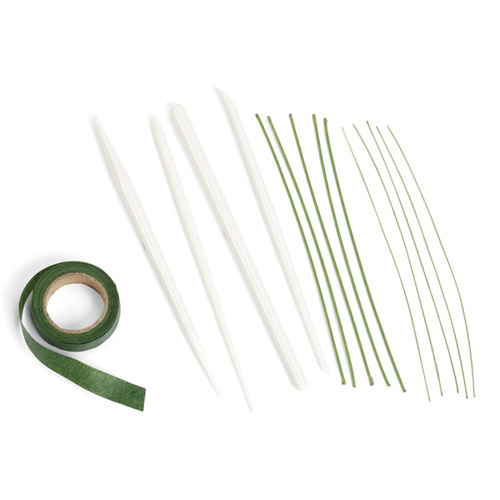 Includes: 5 yards of floral tape, 10 pieces floral wire (6" each), and 4 detailing sticks.